If you have upgraded your old iPhone to the latest iPhone 6S, you can easily transfer contacts from your old iPhone to your new iPhone. Or if you have switched your mobile phone from Android to iPhone, you can also easily copy your contacts from android phone to iPhone with the third-party program. But if you have some contact lists on your computer, you may don’t know how to transfer them to your iPhone. This post aims to show you how to transfer contacts from computers to iPhone with two ways in few clicks, you can compare them and decide which one is better according to your own needs. 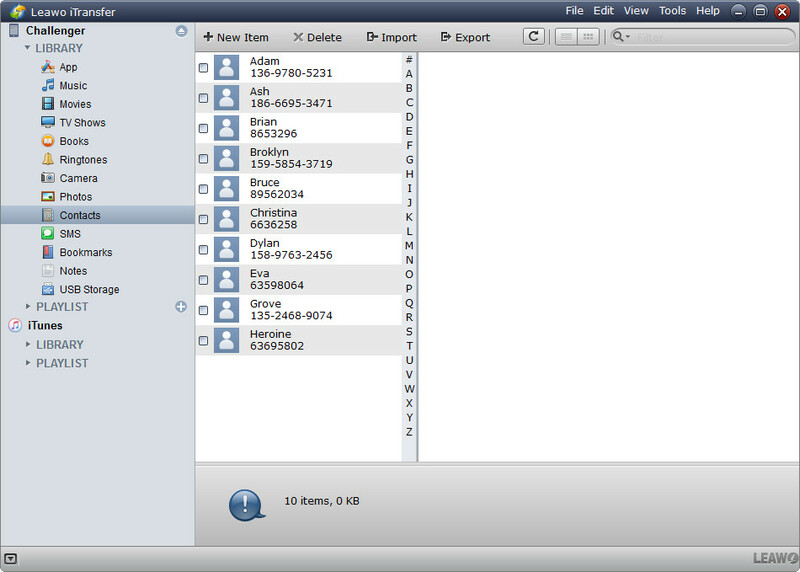 Copying contacts to iPhone with iTunes is the first method, which is highly recommended for its convenience. You need to download and install the latest version of iTunes on your PC. Then you can transfer contacts from computer to iPhone with the following steps. Step 1. 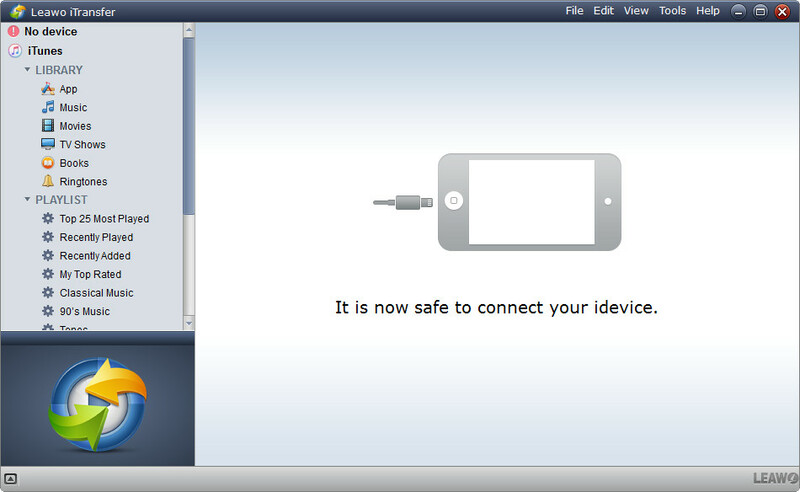 Connect your iPhone to PC with the USB cable and iTunes will be started automatically. Step 2. Click your device and click “Info” tab on the main window, check “Sync Content with” option on the right panel, and choose the program on your PC that has the contacts you want to import, then click the All Contacts radio button. Note: If you only want to transfer some of your contacts instead of them all, click the Selected Groups radio button instead and then choose the contacts you want to transfer. Step 3. Click the Apply button to save your settings and transfer the selected contacts onto your iPhone. 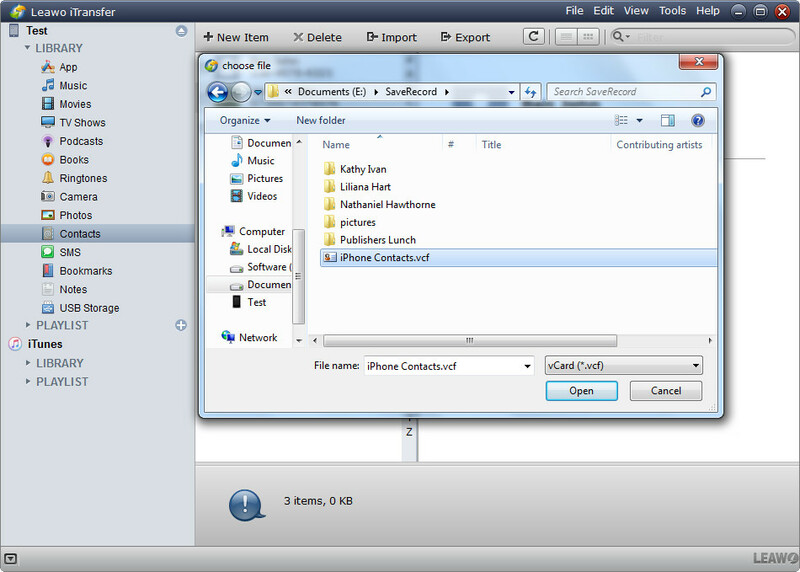 iTunes is capable of transferring contacts from computer to iPhone, however, you may meet some unexpected situation when syncing with iTunes, for example, the contacts on your computer are replaced by the contacts on iPhone or iPad, or these contacts from computer don’t show up in your device after syncing, etc. Therefore, you can also use an iTunes alternative to transfer contacts from computer to iPhone with ease. Leawo iTransfer, a piece of powerful and professional iPhone transfer software, helps users to transfer files among iOS devices, iTunes and computers, and it enables users to transfer various kinds of files without the sync of iTunes. The following guidance will show you how to transfer contacts from Android to iPhone, and you can free download the software to have a try. Step 1. Run Leawo iTransfer and connect iPhone to computer with the USB cable. Step 2. Click the name of iPhone and choose Contacts in the left sidebar. The contacts in iPhone will display in the right part. Step 3. Click Import at the top middle, and choose VCF at the right bottom in the pop-up dialog. Then select the contacts from your computer and click Open. The above is about how to transfer contacts from computer to iPhone with or without iTunes, which one do you prefer? Also Leawo iTransfer can help you to transfer various files among iOS devices, computers and iTunes, for example, you can transfer music from computer to iPhone with the software.